I Have Legitimately Always Wondered What the Back of This Costume Looks Like. Depicting men in the uniforms of superheroines to highlight how ridiculous said costumes are is a noble endeavor. 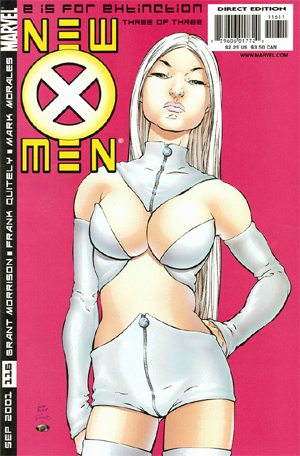 Though I think in this case, Emma Frost kind of showed how ridiculous it was all by herself. You Don’t Know That it’s Not Consensual.